Indian Roadmaster prices start at Rs. 42.15 lakh (Ex-Showroom). 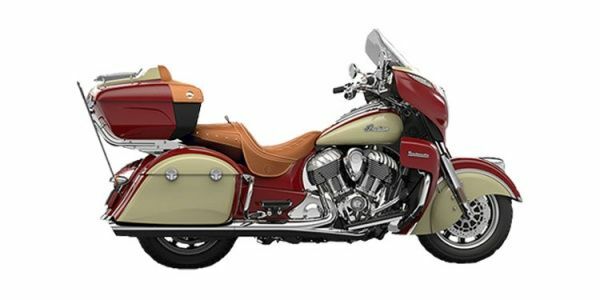 Indian Roadmaster is available in 1 variants and 4 colours. The claimed ARAI mileage for the Indian Roadmaster petrol is 20 kmpl. The 2015 Indian Roadmaster is built upon the iconic Roadmaster name used by Indian Motorcycles in the 1940s, and comes with a host of features. ABS, cruise control, remote locking hard saddle bags, heated rider and passenger seats, heated grips, keyless start and power windshield come as standard. The most expensive Indian is here. It is the biggest, meanest and most intimidating motorcycle ever made. Or is it? Not really!